An under-pressure Jose Mourinho saw his Manchester United side fight back from two goals down to earn a dramatic 3-2 win against Newcastle at Old Trafford on Saturday. 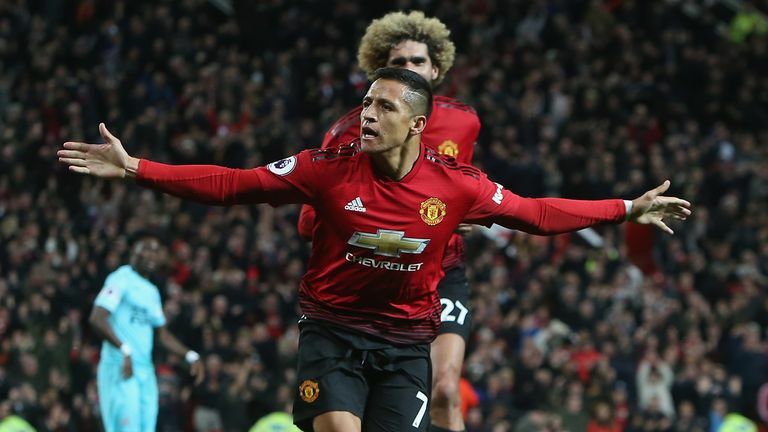 Substitute Alexis Sanchez grabbed the winner with a dramatic 90th-minute header, giving the hosts what had seemed like an unlikely victory and sending Old Trafford wild. The pre-match talk was dominated by Mourinho's future, with Man Utd insisting they will remain patient with their manager, dismissing reports he would be sacked after the game. But the talk intensified as Mourinho's side got off to the worst possible start, tamely allowing Newcastle to race into a two-goal lead through Kenedy (8) and Yoshinori Muto (10), the first time they have conceded two goals inside 10 minutes at Old Trafford in the Premier League. 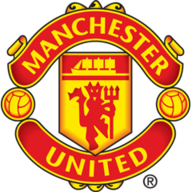 Nemanja Matic missed a sitter early in the second half, but sub Juan Mata halved the deficit with a fine free-kick (70) to give United hope, and they duly levelled shortly after through Anthony Martial's finish (76) before Sanchez's winner. The result leaves United in eighth place, four points off the top four, while Newcastle are 19th with just two points from eight games this season under Rafa Benitez. Valencia wasn't named in the United squad, while Young, McTominay and Martial returned to the starting XI. Andreas Pereira was back on the sub's bench. For Newcastle, Muto, Fernandez and Manquillo came in following the defeat by Leicester. The home fans welcomed Mourinho positively before the match, but the mood soon flattened as Newcastle took the lead through Kenedy, curling left-footed into the far post after a simple ball from Ayoze Perez found him one-on-one with the stranded Ashley Young. It was 2-0 just two minutes later through Muto, turning and smashing past David de Gea from 12 yards for his first Newcastle goal. Man Utd fans replied defiantly, singing: "We love United, we do," while Newcastle fans mocked Mourinho with a rendition of: "You're getting sacked in the morning." Mourinho reacted, hooking Eric Bailly for Juan Mata after just 19 minutes, and they should have pulled one back through Marcus Rashford, whose close-range header from Romelu Lukaku's cross fell inches wide. Newcastle could have just as easily been 3-0 up as De Gea saved well from Muto's point-blank header after finding acres behind the back line, before two strong penalty appeals at both ends were waved away by Anthony Taylor for handballs against Young and Muto. Boos were heard at the break, Marouane Fellaini then replaced Scott McTominay for the second half, but United's back three consisted of Chris Smalling, Nemanja Matic and Pogba early after the restart. Matic aptly produced a defender's finish after Pogba's deflected shot was saved by Martin Dubravka, blazing over the rebound from six yards when it seemed harder to miss. Mata made amends, curling home a superb free-kick from 25 yards, before Dubravka came to Newcastle's rescue twice in a minute, beating away Fellaini's half-volley effort and then producing an even better stop from Smalling's close-range strike. The hosts were level with 14 minutes remaining after a world class move; Martial slipped the ball into Pogba, whose backheel flick gave Martial space to fire past Dubravka and into the bottom left corner from 15 yards. Mo Diame saw a header cleared off the line by Lukaku at the other end, but the pressure on the Newcastle goal began to intensify. Criticised for his performances since joining the club in January, Sanchez popped up with the dramatic winner, heading home Young's cross from eight yards. Special mentions should go to trio Juan Mata, Marouane Fellaini and Alexis Sanchez, who contributed superbly from the bench, but on balance, Pogba shone. His flick for Martial's equaliser was world class, he rarely misplaced a pass, with an accuracy second only to Mata, and most importantly, he worked. He ran 11.47km, second only to Matic, and made a team-high 14 sprints. There's room for improvement, but it's a start. Jose Mourinho: "I am 55 years old. It is the first time I see man-hunting. I can cope with it. I can live with it. Some of the boys, in spite of them not being the man that is hunted, they are not coping well with it," he told BT Sport. Rafa Benitez: "We have more or less the same squad, we changed some players. We did well [last season] because we were consistent, and we are working from the beginning until the end, very hard, and I think we will do the same." Man Utd registered their seventh Premier League win after being 2+ goals down at half-time, four more than any other team. Paul Pogba has had a hand in 29 Premier League goals under Jose Mourinho at Man Utd (13 goals, 16 assists), more than any other player. This is Newcastle's joint-worst-ever start to a top-flight season after eight games in terms of points (3), after 1888/89, 1977/78 and 2015/16 (3pts for a win). 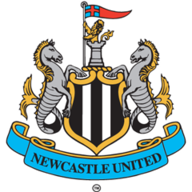 Newcastle are winless in their eight Premier League games this season - only in 1898-99 (first 10) have they gone longer without a win from the start of a top-flight campaign. Today's win means that Jose Mourinho now has the best win% of any @ManUtd Manager. Man Utd go to Chelsea after the international break, live on Sky Sports Premier League at 12.30 on Saturday, October 20. Newcastle welcome Brighton on the same day at 3pm.